First Aid Beauty. The name says it all, as these products are your first aid solution for skin problems, ensuring that every skin can enjoy a good-skin-day. As well as skincare essentials, FAB offers specific solutions for immediate relief and long-lasting results. If you suffer from the occasional bad-skin-day, then reach out for First Aid Beauty. The name says it all, as these products are your first aid solution for skin problems, ensuring that every skin (even the ultra-sensitive ones) can enjoy a good-skin-day. Every day. 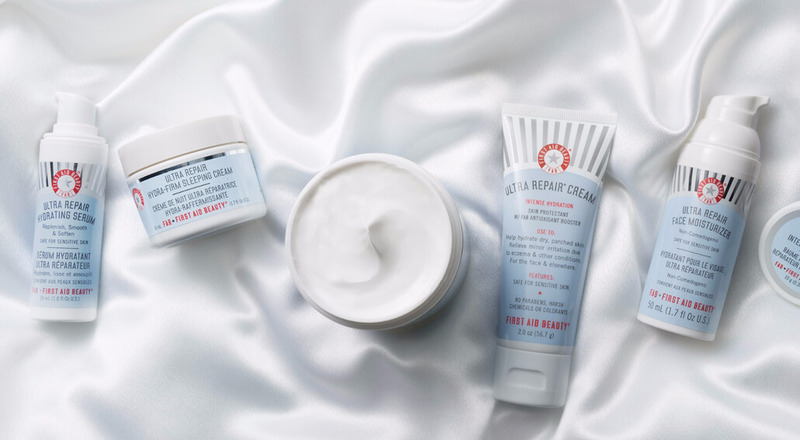 At First Aid Beauty (FAB for those in the know), they develop daily skincare essentials and specific skincare solutions that offer immediate relief, long-lasting results and delicious feel-good textures. Why? Because your skin simply deserves to feel good – super, in fact. So, discover what FAB skincare can offer you to make every day a good-skin-day. Because healthy-looking skin is beautiful skin. How FAB is that? !